Come and dance in a relaxed and feel good community! The Acting Space (Acting Workshop for Adults). Acting workshops for anyone (aged 18+) with little, or no, acting experience who want to learn a new skill, have fun and meet new people. During the term we cover a range of topics including improvisation, story telling, movement, character work and scene study. 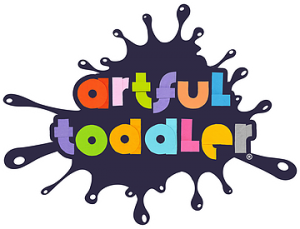 Artful Toddler is an arts and crafts group (overlooked by our creative king “Arty” that gives children, from 12 months upwards, to express themselves through arts and crafts and explore their imaginations in a safe, fun and friendly environment. Stimulated by our wonderful staff, but especially by mums, dads and carers, children are encouraged to use their initiative and imagination to experiment and explore through our wonderful crafts! Yoga is an ancient holistic practice founded 5,000 years ago. It combines physical, mental and spiritual disciplines to bring freedom, healing and harmony to the body, mind and spirit. My Hatha Yoga classes typically include asana (yoga postures), meditation and pranayama (breathing techniques). We practice a combination of static postures integrating alignment principles and gentle flows, focusing on connecting movement with breath and body with mind. These classes are suitable for all levels, including complete beginners. Get your first class for £5 using code HIFIVE when booking online. £10 drop in. Block booking discounts and offers available online too. Spaces are limited so booking in advance is highly recommended. Comfortable clothing you can move in. Your yoga mat. I look forward to seeing you on the mat this Tuesday. Practicing Pilates’ deep breathing techniques is also a great aid to stress relief and deep relaxation. Many clients have mentioned that Pilates has given them back the strength and flexibility they need for everyday challenges; it has improved their posture, their body image, suppleness and it helps them to relax after a stressful day. During the mat classes we regularly use small items of equipment (e.g. balls, bands, loops, rings, foam rollers) to support and help with some exercises and to add a little more challenge to others. Babyballet is a fun, award-winning dance programme for pre-school boys and girls from six months to six years. Designed to encourage babies and young children to enjoy the benefits and joys of song and dance, babyballet has built up a fantastic reputation for providing children with the opportunity to express themselves within a fun, safe and caring environment. 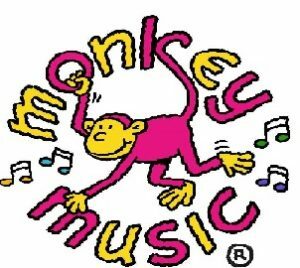 We run classes at the Forum on Saturday mornings for children between 18 months and six years old. If you would like to join us, initially for a three week trial, please email us greenwich@babyballet.co.uk or call us 07809148348. EasyCoding Club is an exciting afterschool programme that inspires young children to explore robotics and technology. The classes are designed to nurture young inquisitive minds to develop an interest in coding and building robots from an early age. Dedicated to teaching key science and engineering practices, the children learn coding, visualise abstract concepts and apply maths in a fun engaging way. In this yoga method, alignment, precision, safety and consciousness are all present to bond the mind and the body holistically. I’m a certified Iyengar Yoga teacher, which means I’ve been practising and studying for many years, both in UK and India. I cater for all needs, be them athletes in search of that extra bit of suppleness, someone recovering from an injury, or those who mostly work in front of a screen… Basically, yoga is for everyone. Hope to see you on the mat this Saturday at 10.30!